In fall 2012 I received a lovely note from a local esthetician named Lauren. She wrote of her interest in natural and holistic skincare and how she'd love to help Blissoma out in some way. In the following months Lauren and I worked local demos together and had time to chat inbetween client consults. She was in the middle of a lifestyle transition prompted by persistent health issues. Like many chronic problems it took some months and multiple doctor visits to sort out, resulting in a rebooted dietary approach that was friendly to her particular needs. Flash forward to 2014 and she is now employed as our staff esthetician. 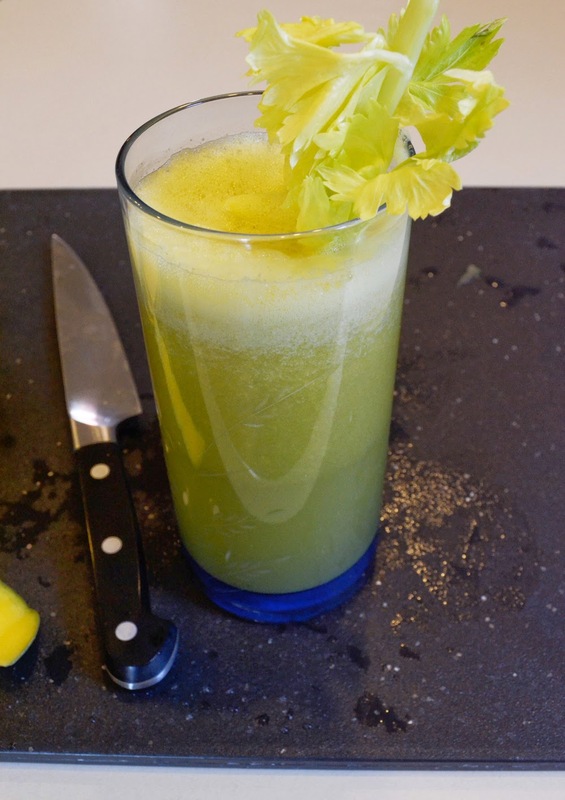 As a part of her own health journey she has done a lot of juicing with fresh fruits and veggies and wanted to share her own version of a recipe she tweaked from the Low Histamine Chef. 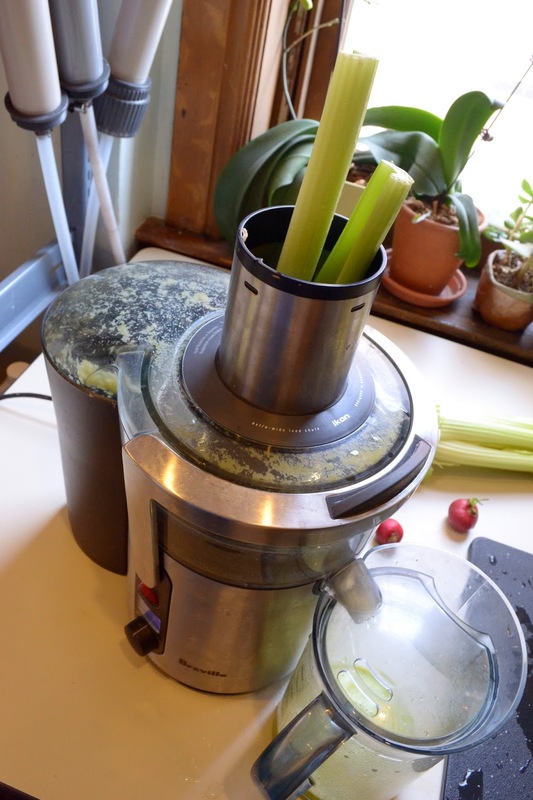 The juice recipe is heavily celery based. While celery may seem simple as a veggie I can assure you - it's not! 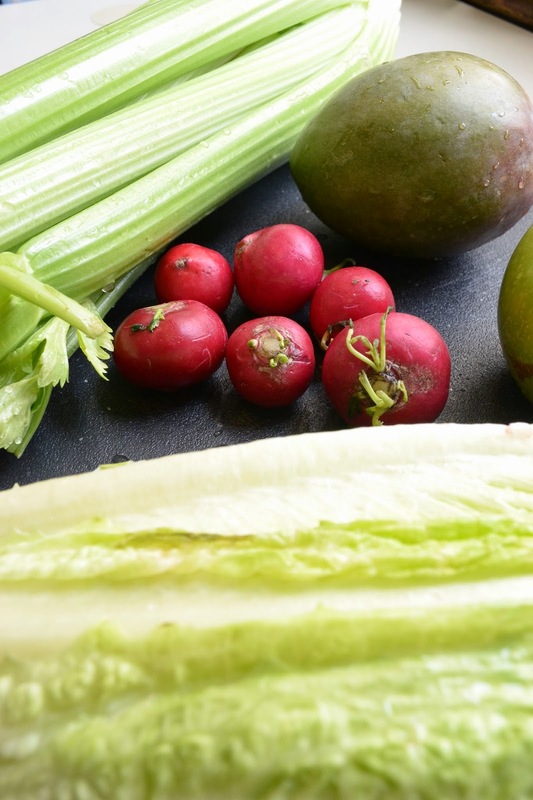 While other veggies often get the accolades celery is there quietly providing 13 phenolic antioxidants, a sweet dose of Vitamin K, and lots of minerals. 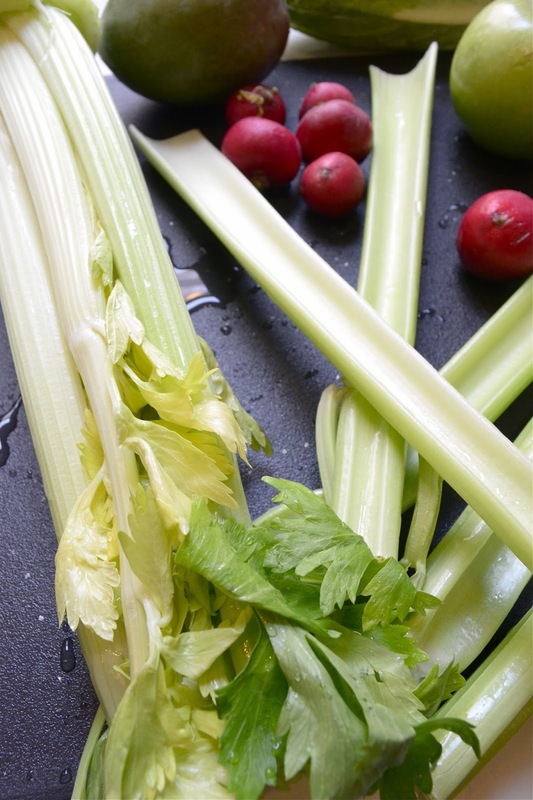 Celery's powers include anti-inflammatory benefits for the cardiovascular system. It can prevent oxidation of body fats and blood vessel walls. 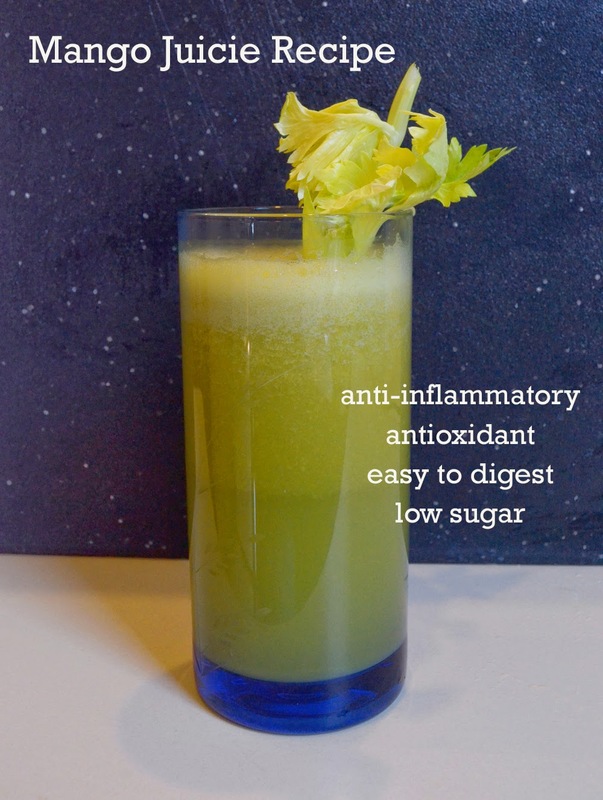 For those with sensitive stomachs celery also has pectin based polysaccharides that have been shown to improve the integrity of the stomach lining and help control stomach secretions. Also notable is the fun inclusion of radishes! They add a unique flavor that blends really well with the celery. Just a little fresh kick to wake your palate up in the morning. *if you have a centrifugal juicer the leafy greens can be omitted in favor of a cucumber. Romaine often goes through a centrifugal fine but with kale it isn't as efficient. Juice everything but the mango. 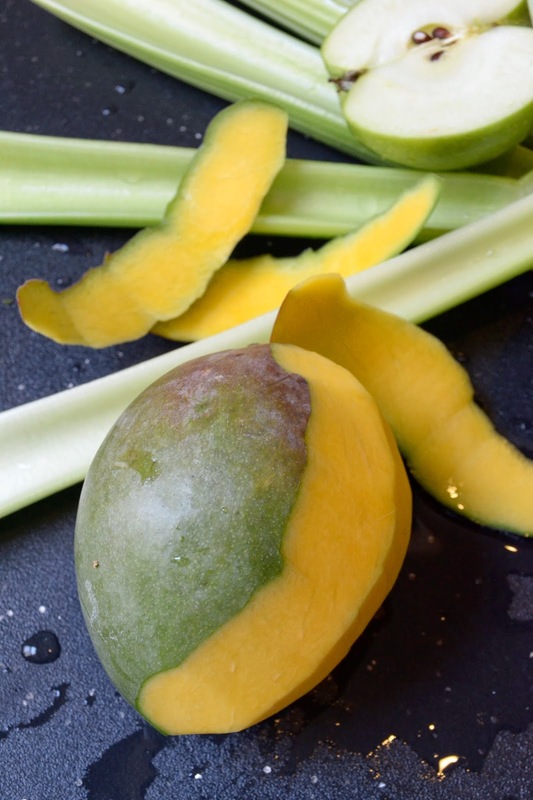 Peel the mango and puree it. 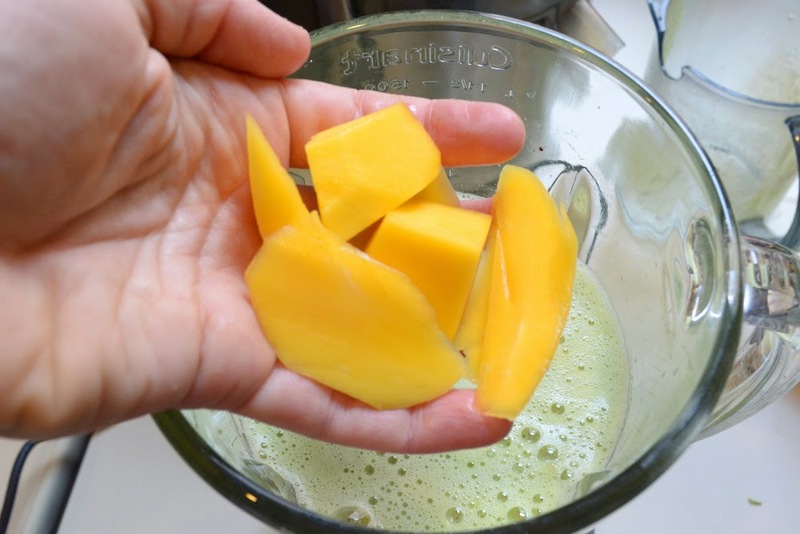 Add green juice to mango puree and mix! This is a low sugar, incredibly skin-friendly recipe that tastes great. Why is low sugar important for your beauty results? Read how sugar is aging your skin and you'll feel even better about this juice choice.